Netflix finally released the trailer of the third season of its flagship sci-fi horror show Stranger Things on 20 March. After the horrifying encounter with demogorgons from the Upside Down in the previous season, Mike and the gang seemed to have coped pretty well and have gone back to their normal routiens once again. Or so it seems in the beginning. A still from Stranger Things 3. 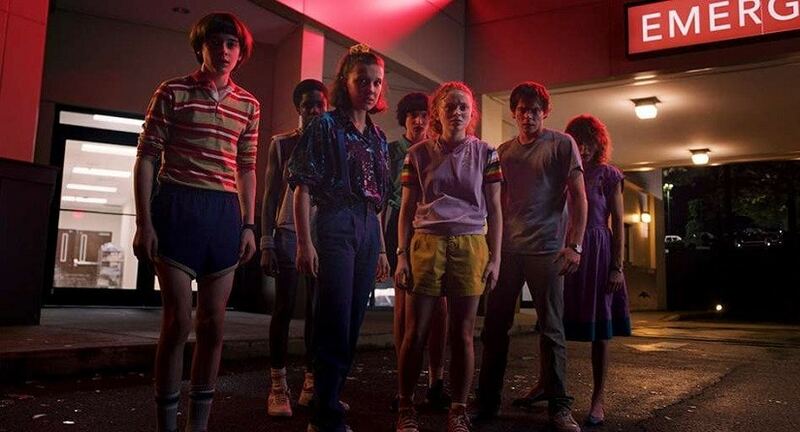 The trailer opens with Eleven (Millie Bobby Brown), Mike (Finn Wolfhard), Lucas (Caleb McLaughlin), Max (Sadie Sink) and Will (Noah Schnapp) surprising Dustin (Gaten Matarazzo) with a party. However, it ends abruptly when a terrified Dustin attacks Lucas with a mace. Set to The Who's 'Baba O'Riley', the video shows the central characters dealing with relatively mundane problems of adolescence, strained friendships, romance and summer jobs. "We’re not kids anymore," says Mike. "I mean, what did you think? We were just going to sit in my basement all day?" The summer of 1985 is all fun and games till they have to face a mysterious trained assassin and another monster that has made its way to Hawkins, Indiana from the Upside Down. Winona Ryder will once again be seen as Joyce Byers alongside David Harbour as the town's sheriff Jim Hopper. Charlie Heaton, Natalia Dyer, Joe Keery and Dacre Montgomery are also part of the cast along with Maya Hawke, who will play a new character. Stranger Things Season 3 will premiere worldwide on 4 July.